AnDOSid is so powerful, that you can even use it to take down web servers. But don't go for it, because it's one of the quick ways to get into jail! Don't worry, you can use this tool for security purposes. 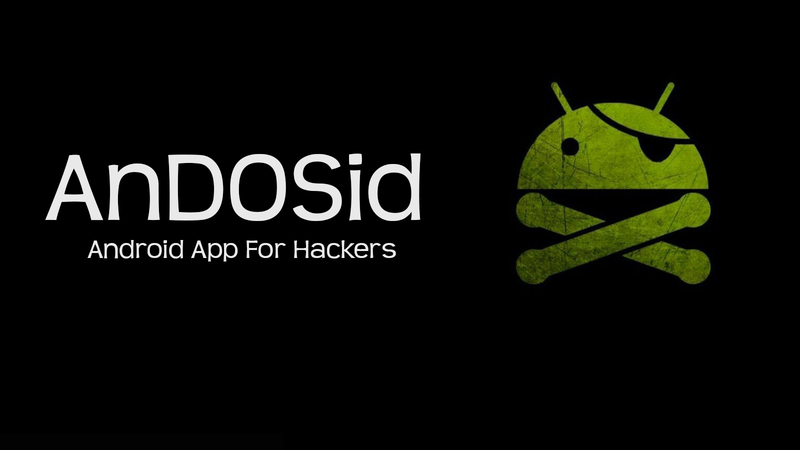 So today I'm going to give you a step by step guide on how to use AnDOSid to simulate DoS attacks. Requirement: Android 2.2 or higher. 2. Install it on your device. 6. Edit the payload size. The Default size is 1024 bytes ≈ 1Kb. If you want to increase the stress, you have to increase the payload size. 7. The third box determines the number of milliseconds between each hits. 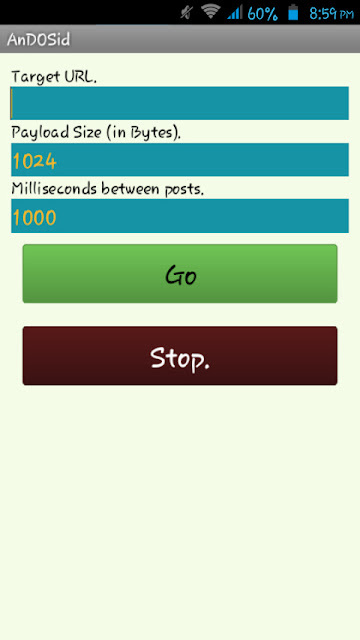 Default value is 1000 milliseconds = 1 second. If you want to decrease or increase the time between each hit, edit the value according to your needs. 8. Tap on the "Go" button to initiate DoS attack/stress testing. Whenever you want to stop hitting, tap on the "Stop" button. I hope you liked reading the article, if you did, feel free to share this article to your friends and followers. Glad you liked it, peter! What is Dos attack because all I know is WiFi bruteforce and collect cookies to get in a Facebook account can you explain me? DoS means denial of service. You attack a server and exhaust it of it's resources, the server goes down. Hence denying any service to any legitimate user. Can you explain me what is Dos attack is that attacking a website? Is that need root and what is Dos attack what will happen if I attack a website? dos attack simply means flooding a target device with huge amount of traffic to make it unavailable to others. If you attack a website, they will trace the attack and then put you in jail. You can make application to ddos wifi run ning system android ? Can we get into someone's Facebook profile using this? No.... It's a DoS tool my friend. LOIC is better man it is available on android now it was banned 2 years ago can you upload it in this website? Glad you liked it, Manthan. can i hacked twitter account using this? Can I use this on router IPS? For example, I wanna prank my friend when I'm at his house and get his COMPUTER IP, what happens if I dos that? When a network is "attacked"... it is being attacked. It's like thousands of digital troops attacking one base until its no longer usable. Eventually over time (a matter of minutes) the base will rebuild and be up and running again. So what can you do to not and be in jail with this? That depends.. if you do it against a computer or website that you don't own or have permission to attack, then it is illegal.